Fall season is finally here, and I feel like I have to say goodbye to neon stuff for awhile till next Spring and Summer. I'm no longer excited and fascinated by neon coloured fashion nor accessories anymore (for now, or unless it's really one beautiful unique piece.) and setting my mood into autumn winter already. Colours for this Fall (based on my personal observation): red, royal blue, plum purple, black, silver and gold. All those pretty dark tones with a hint of glitter. 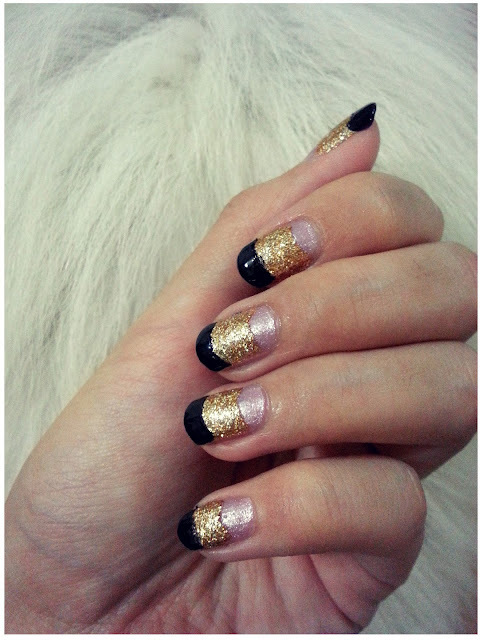 And now I'm rocking my nails in one of my favourite combination: Black x Gold. Worked for runway shows few days ago and I had to colour my nails nudy pink because models are not allowed to have non-natural nail colours and I'm thinking to spice things up since I'm not working until next week. 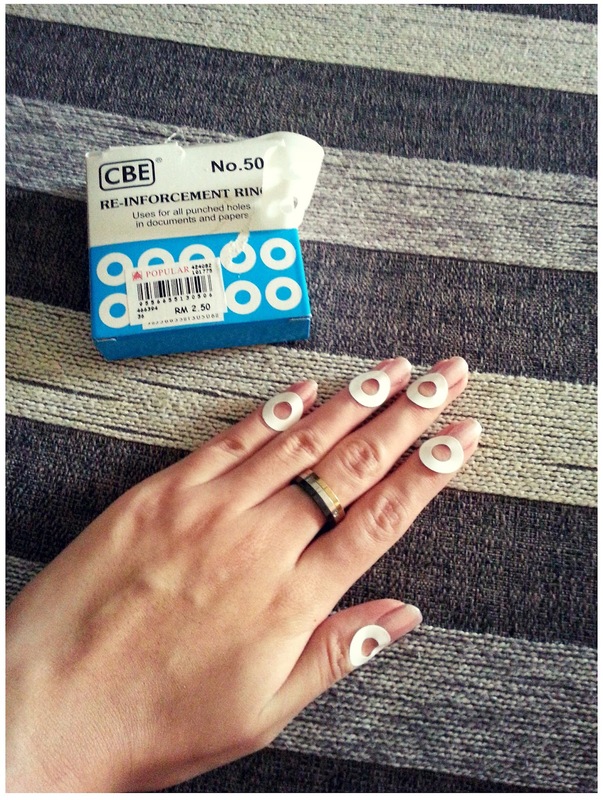 Same as my previous post I'm using reinforcement ring stickers to do my nails again, but this time, is in a reverse way, from bottom to tip. As I already had my base colour done, everything will be quite easy as lesser time I need for my nails to dry. 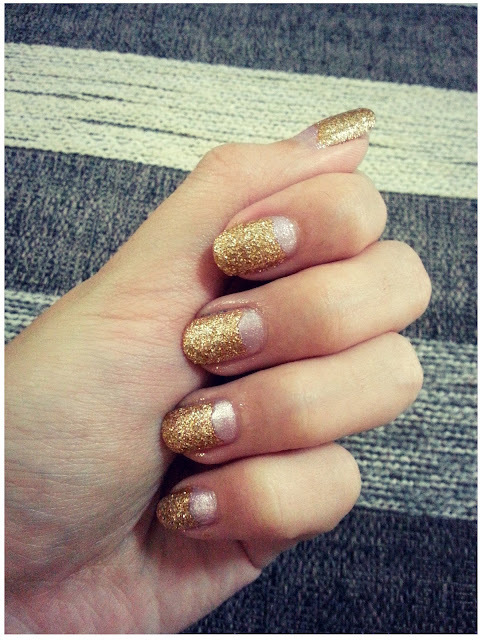 At first, I only thought of doing the reverse french manicure. So stick the ring stickers to the moon of your nails. This is how I originally - The Reverse French Manicure. Then later that night, I felt that the presence of my nails aren't strong enough as the combination of nudy pink base and gold glitters aren't that loud enought, I decided to add black colour to the tips of my nails. Kinda reminds me one of Alexander McQueen Fall 2012 collection, the gold emboidered black gown. I haven't paint my toe nails, now they're totally unmatched, lazy me. lol.